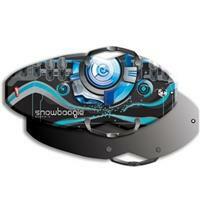 The Super G Snowboogie Foam Sled is the most advanced foam sled on the market. With a versatile shape and carefully engineered handles, you can ride this sled in either direction. The exciting handle design also allows for 2 riders to safely hold on, and even control your speed by pushing down! The Super G Snowboogie Foam Sled features new steering and handling system, twin tip shape and a speed slick tracking bottom.